One of the surprises of the recent BBC documentary Harry Potter: A History of Magic (repeated on Christmas Day) were the two real-life wand-makers from Kent. Dusty Miller XIII and XIV are Master Elfin Craftsman from the “Saelig Silverdobbs”, a tribe which lived in Great Britain since the last Ice Age. 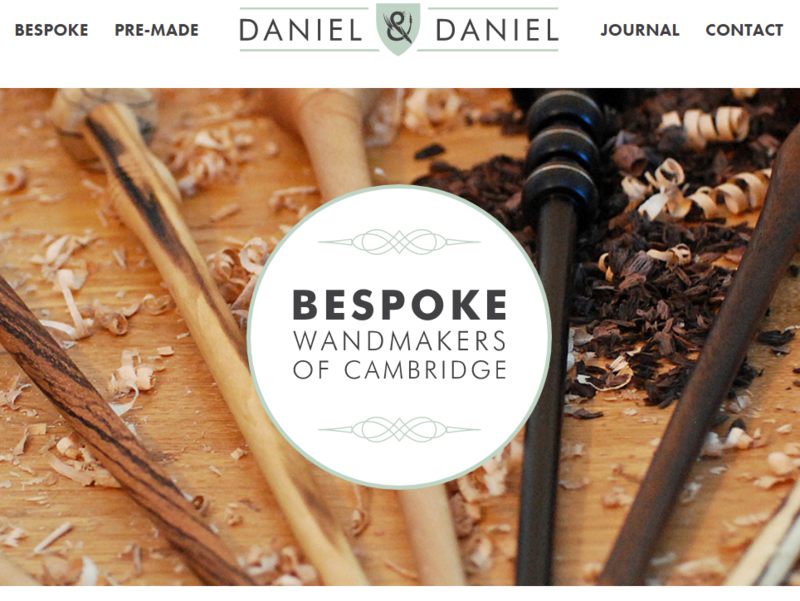 Together they make “unique handcrafted magickal Tools which inhabit a benevolent Tree Spirit”. The long line of family craftsmen goes back hundreds of years and the Millers have the same given name handed down from one generation to the next. Dusty XIV explained: “We work for the tree spirits so they tell us where to go to collect a piece of wood and which tree to collect it from. “It’s all very complicated and often involves getting up in the middle of the night to be in the forest at daybreak. “Why it always has to be daybreak I don’t know. Why can’t it be lunchtime?” he asked. “Trees don’t have lunch,” retorted his father, Dusty XIII. 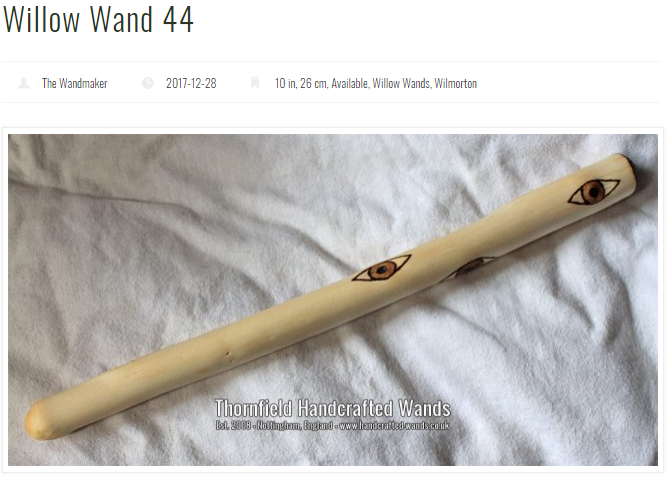 The Millers sell their wands all over the world for a variety of magical and healing purposes. 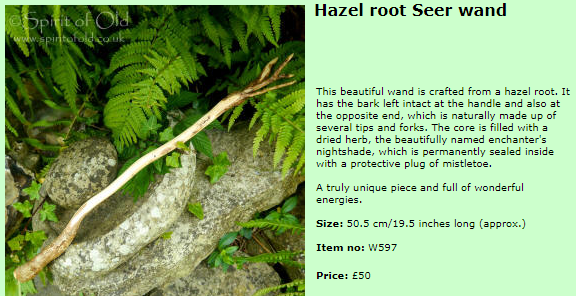 Kent wand-makers: Wood you believe it? 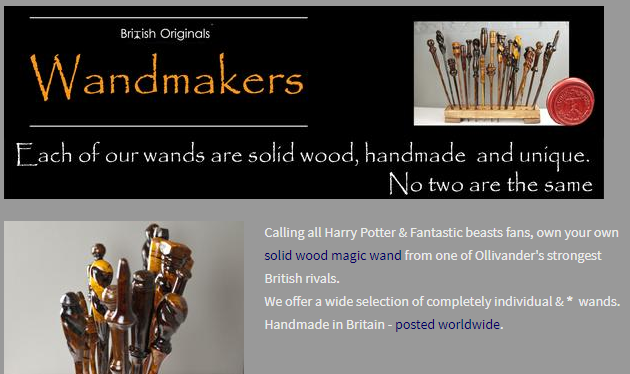 A quick Google search reveals lots of rival wand-makers in the UK. It seems there is a demand for this niche product way beyond Harry Potter memorabilia. 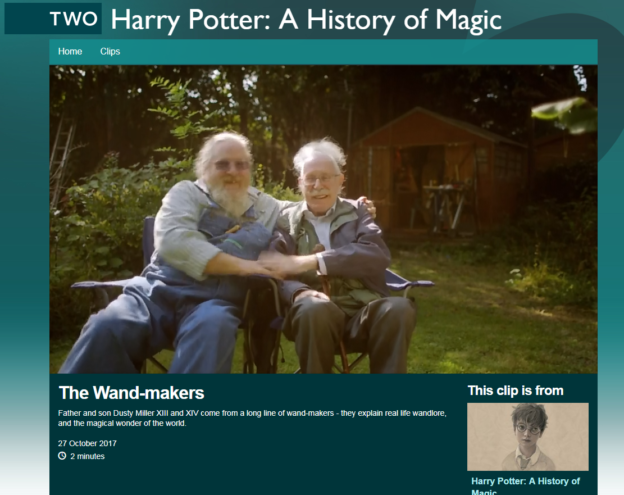 This entry was posted in gadgets, humour, market research and tagged magic, niche products, wands on 5 January 2018 by ninfield.